Last year Advertising Age published a piece about marketing in the age of Twitter and Facebook. The thrust of the article was that 'when it comes to Facebook, relevance may be redefined.' The story highlighted the fact that Blackberry tweeting 'May the 4th be with you' ended up being one of their most successful tweets of 2010. 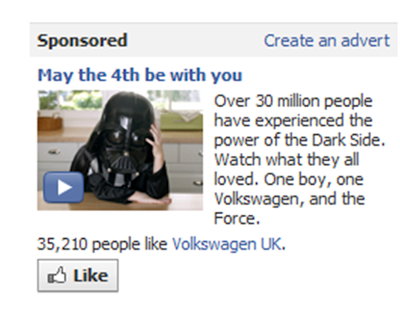 The VW Facebook ad is titled 'May the 4th be with you' and the ad text contains a nudge ('over 30 million people have experienced.....') alongside a simple, emotive explanation of what the user will see if they click the ad. 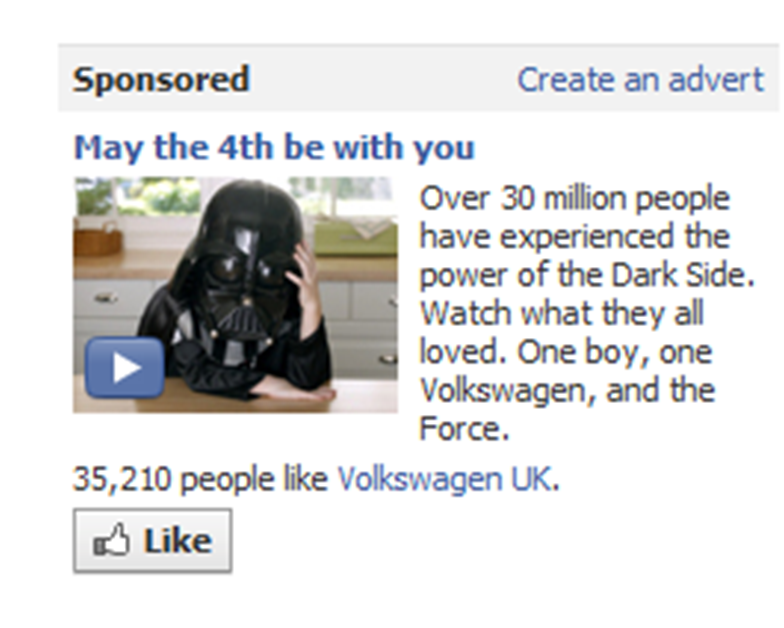 A Like button then allows people to Like the Volkswagen UK page directly from the ad. The context of the date aligns nicely with the creative and the ad text - all inside a Facebook ad that pulls together Paid Owned and Earned in the same place.